My son is a choco-holic. Like, to the point of obsession. 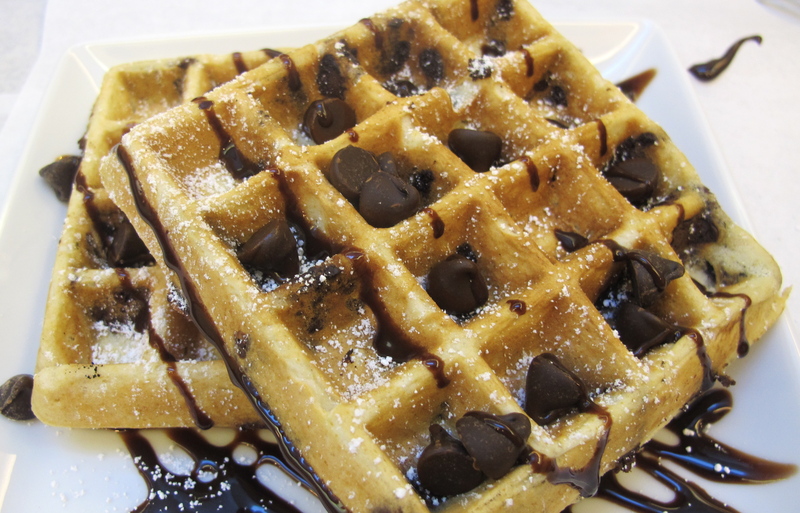 If he isn’t allowed to have some type of chocolate at some point in the day (even just a few chocolate chips sprinkled on his waffle in the morning, since they fit so perfectly into the little squares), he feels robbed of his basic human rights (he’s 8…so to him, it’s a valid feeling). I’ll be honest. I’m one of those mothers who delays gratification. “You may eat some chocolate-covered pretzels AFTER you finish cleaning your room” is not an uncommon statement to hear in our home. Heck, I delay my OWN gratification too…almost like a game, I don’t allow myself those “little pleasures” in my day until I complete certain tasks. I make a series of phone calls I’ve been dreading (you know, the ones where you sit on hold listening to Muzak for what seems like an eternity until you get a real person…and even then, the process is as slow and painful as watching paint dry), and then I get up to make a cup of tea. I clean the shower (the WORST JOB EVER, to me anyway) and I reward myself with a home manicure while I watch a “mindless” show on tv. Hey, those housewives make me feel like my life is normal, y’all. So imagine my delight when, a couple weeks ago, I watched an episode of The Colbert Report with Walter Mischel. Walter Mischel is the psychologist who conducted the famous “marshmallow study” at Stanford in the late 1960s. Preschoolers were told by researchers that they could either have one marshmallow right away, or if they could wait a few minutes until the researcher came back, they could have two. Results were varied, but very insightful. 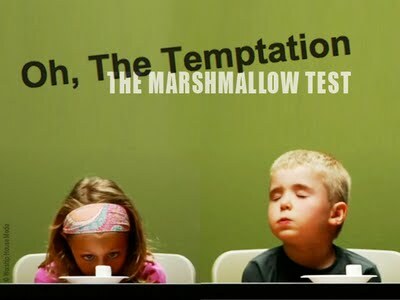 Mischel recently wrote “The Marshmallow Test: Mastering Self-Control”, which I found fascinating. And, here’s the thing…you don’t have to be a psychologist, mental health practitioner, or even related to the field in any way to benefit from reading this book. Mischel covers both a summary of the science behind the now-famous study as well as a self-help guide, if you will. While he addresses the criticisms of the study, he also raises some interesting points about nature versus nurture (as in, are we born with the ability to have self-control, or is it a learned, observed skill?). What I found even more intriguing was the discussion of self-control as it relates to what Mischel calls “hot” emotional cues: how we respond to potential rewards as well as tempting objects/situations, versus our self-control in “normal”, benign situations. He presents the concepts of distraction and reframing to work on increasing self-control (therefore, we are not “doomed”, even if we had an inability to delay gratification as children!). The applications of the concepts from the “old” marshmallow study (as discussed by Mischel) range from weight loss to anger management to job satisfaction. Mischel covers some “how-to’s”, but certainly not to the extent that would be necessary for someone wanting to make significant changes to their circumstances. Please let me know your thoughts, and whether you agree with Mischel’s theories. Now excuse me while I go find some chocolate for having completed this post.